Saturday, June 2, 2018, 10 a.m.
Saturday, June 2, 2018, 3 p.m.
Join artist, Helen David Brancato, IHM, to explore the mercy and compassion depicted in the works of Van Gogh, Rembrandt, Merton. 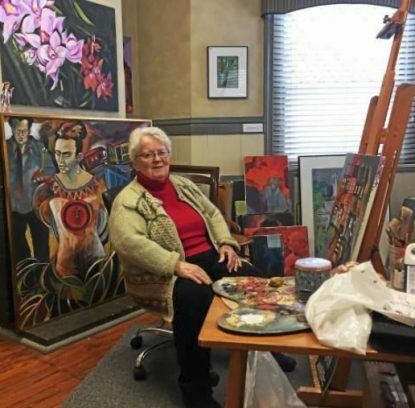 Helen will also share some of her own new paintings and her observations on the dignity and grace of everyday people she has met throughout her life. Retreatants will enjoy a healthy lunch with ingredients prepared mostly from Cranaleith’s garden. The afternoon will include a painting workshop by Helen and time to reflect on your own artwork. Helen David Brancato, IHM, is a painter, printmaker and illustrator whose work carries themes of justice, peace and homelessness. An Associate Professor of Art at Villanova University, she has presented workshops on spirituality and compassion around the country.